First, Edgar celebrated his first birthday! 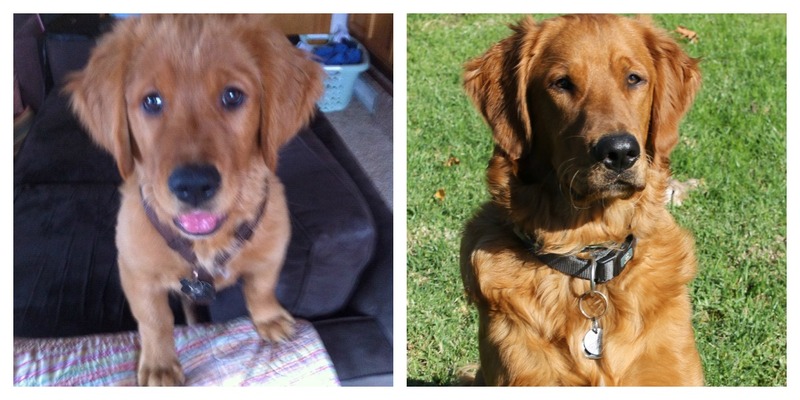 Look at the difference between puppy Edgar and teenage Edgar...he's grown up! He's a total redhead, weighs in at 82.5 lbs at the moment, eats four cups of dog food a day, and loves to play ball. Next, I was lucky to take a class with Emily of Carolina Patchworks at Road to California. 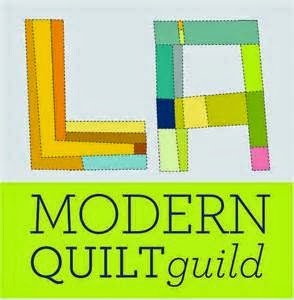 I learned a lot, especially the fact that I could actually handle a quilt with a lot of small pieces. And finally, I attempted to make a Scrappy Lone Star with Janice of Better Off Thread. Janice gave me the confidence to actually do this and not to worry if things weren't exactly perfect. So what have you been up to??? I just love Edgar. Sweet, sweet puppy and now a teenager. How quickly they grow. Are you sure it's bee a year? He is a beautiful dog. Your quilts are beautiful too. I want to do a scrappy trip along. I just don't seem to be able to find the time. I work full time and I'm dragging when I get home. Then there are the two little girls next door, my adopted grandchildren. They are 7 and 4 and I love them buckets full. Take care. Love reading your blog. I am still in love the colors on you Scrappy Trip. Wish I could help you out with the missing fabric.